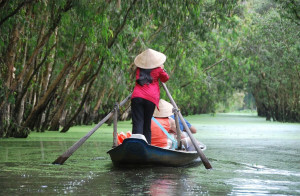 Away from the hustle and bustle of your trips in the capital Hanoi to seek the oasis of peace and be immersed in fresh air in order to feel a slower life in Pu Luong. Pu Luong with terraced rice fields, pristine mountains, and simple houses nestled hillside will be the promised land for tourists who love to explore the nature as well as admire the majestic landscapes. 07:30 am departure from your hotel to Pu Luong. 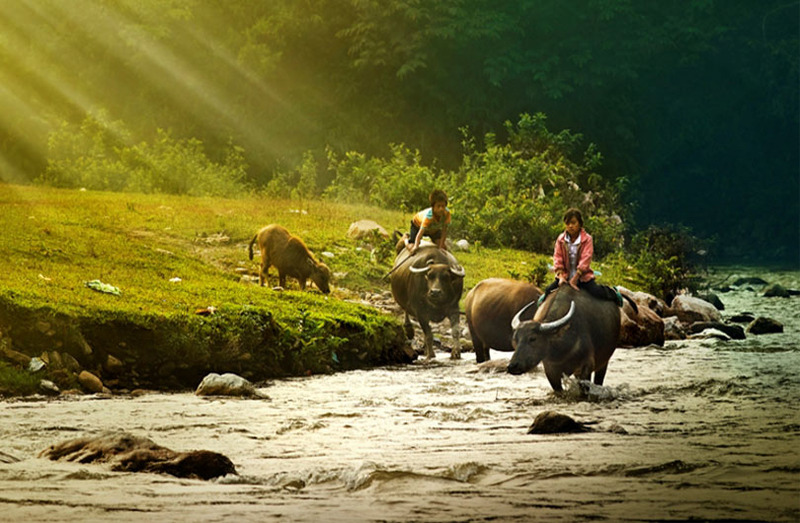 On the way, stop for visiting the Holy Fish stream, a fascinating destination in Cam Thuy district, Thanh Hoa province. The place is well known with a unique and particular type of fish that often swims densely in the stream. It is called the Holly Fish due to many mystical stories on these special creatures. You enter Pu Luong Nature Reserve by road via a breathtaking mountain pass giving you a panoramic view of the whole valley. You arrive at your accommodation in time for a delicious lunch, followed by free time to explore the beautiful retreat, with its captivating panoramic views and tranquil setting. You will be transfered to a suspension bridge over the Cham River, where you begin your walk in search of stunning water wheels. Get up close to each wheel and discover how water is moved from river to handmade bamboo aqueducts via simple constructions of all sizes. Transfer back to Pu Luong Retreat for dinner and overnight. Breakfast. Start early to descend into the beautiful valley facing the Retreat where you walk around tumbling rice terraces. Trek through small paths shrouded in vegetation to slowly reveal a picturesque village sitting at the base of a towering mountain.Your camera will not be able to sit still! Continuing to the base of the valley, you weave between roads and farmland, villages and wild fields, ponds and rivers, mountains and open land. Savour the ever-changing scenery as you trek to a beautiful spot to enjoy a simple picnic lunch. After enjoying delicious food, you have free time to explore the refreshing water to in the nearby river, before moving to our car to be transfered back to the Retreat for dinner and overnight. Breakfast. You have the chance to get close to village life and interact with locals living in the hills above the Retreat. 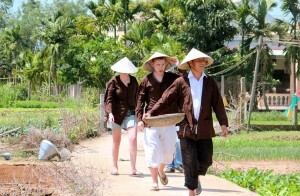 Glimpse at daily life, walk around working farmland and rice fields, followed by lunch at the Retreat. 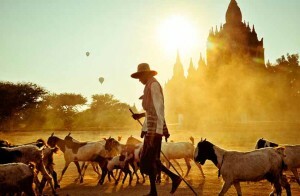 Check out and transfer back to Hanoi. Stunning views, excellent staff, highly recommended! Firstly, the location is absolutely stunning, with mesmerising views across the valley and the paddy fields. 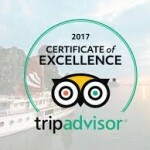 The staff are extremely helpful, responsive and eager to help – both in terms of booking and arrival. They organised a transfer from Hanoi to Mai Chau (about 4 hours) and then picked me up in a taxi for the spectacular 1 1/2 hour ride to the retreat for about $35. Pretty reasonable. The staff at the actual retreat are also wonderful, very friendly and eager to help. Not all of them speak English, but it is worth noting that the community development model used by the retreat means that 75% of staff are from local villages and are being trained up. The infinity pool and views from it are incredible, and also note that it is a darkish colour because it uses fresh spring water with very little chemical cleaners to reduce the environmental impact, not because it is dirty! I stayed in both the dorm and then an extra night in a bungalow. Both were well-equipped and comfortable. Food is also very good and locally sourced. I did a day-hike through the villages with a guide which was great and there are a couple of trails leading down from the retreat which are easily doable self-guided and have wonderful views. The actual valley itself is also very much worth exploring and there are homestays dotted around, however you would need some time and probably your own transport to do this. 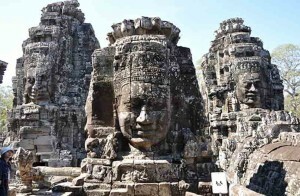 The valley is still relatively untouristed however the retreat seems very popular with local tourists and weekend trippers from Hanoi. With a few tweaks this place would be absolutely top class. Suggestions include – the guide could speak a bit more English to explain things about the plants etc., it would be good to have some spa treatments/massages on offer (this is underway) and the fan in the bungalow can be a bit noisy..!